Pizza enthusiasts are in for a treat as the first Telepizza outlet in St Andrew’s Road, Swieqi officially opens its doors on Saturday, July 14, from 12pm onwards. Several promotions will be applicable on the day – the first hundred people who visit the restaurant will have a choice of a free BBQ Feast or Carbonara pizza, while anyone who walks in on the day will be able to buy up to four pizzas from the Classic range at just €4 each. Telepizza was created in Madrid in 1987 and has grown to become the largest non-US-based pizza delivery company in the world by number of stores. Throughout the years, Telepizza’s philosophy has been that of offering delicious and unique pizzas prepared with maximum attention to detail and a careful selection of top quality fresh and natural ingredients that combine consistent flavours across countries with a focus on local adaptation and innovation in the markets where it operates. 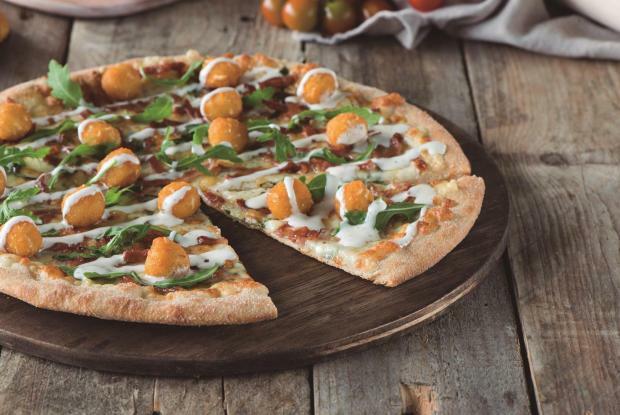 Menu listings include exclusive pizzas like the Vulcano, an innovative Telepizza creation with nachos surrounding a crater filled with melted cheddar cheese in the centre. The restaurant offers other specialities such as the BBQ Gourmet. Telepizza also offers a wide range of snacks and sides options such as chicken pops, wings and strips, together with camembert bites, potato wedges, sweet potato fries and more. For more information, visit the Telepizza Malta Facebook page or call on 2223 2223.